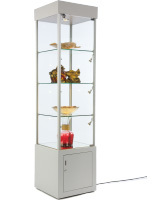 This display tower with storage is a sturdy aluminum frame with melamine laminate MDF base and top wall panels. 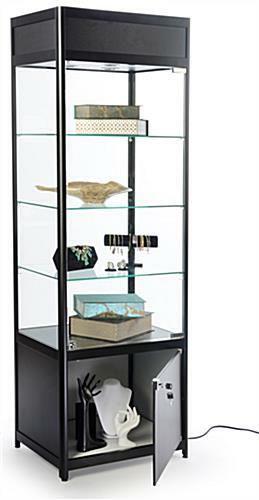 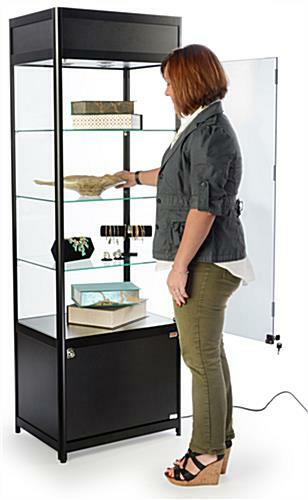 Each fixture contrasts the tempered safety glass case walls and door with neutral black finish framing for a stylish, modern look. 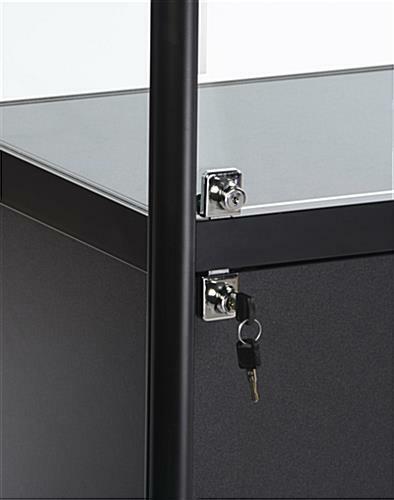 The commercial-grade retail tower with storage offers both a locking access door and a secure base cabinet. 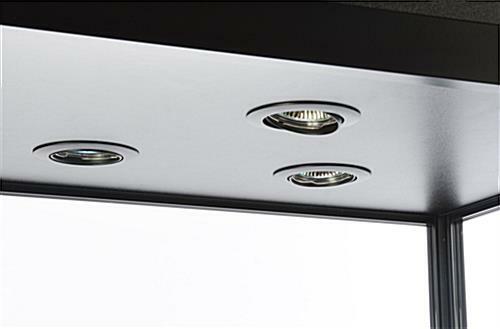 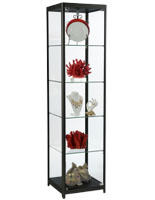 Full vision fixtures can be used as freestanding or against the wall furniture. 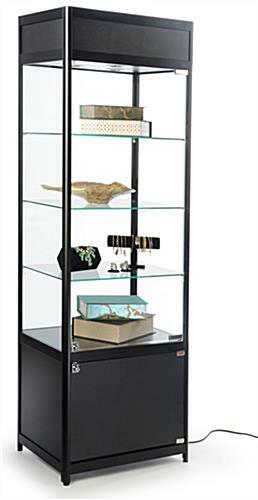 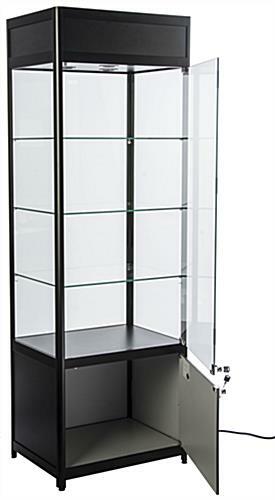 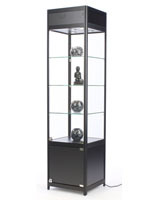 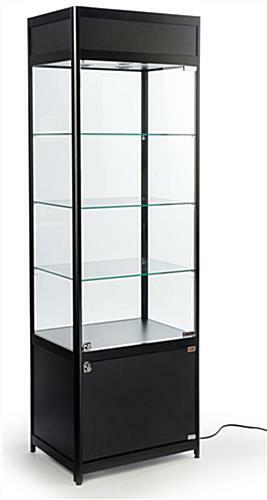 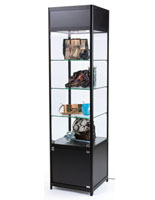 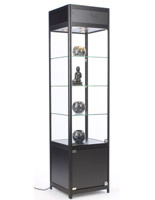 This 24" wide black-framed tower with storage is available in a number of widths and finish colors to match any decor. 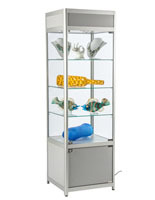 The economical full-vision glass showcase with security locks is perfect for use in gallery, retail or commercial environments.